Disclosure: This post is brought to you by Blog Meets Brand, however all opinions are my own. A few weeks ago my son graduated from 8th grade! How that is even possible, I have no idea. Being that not only did he graduate middle school he also turned 14. We threw a party and we all know a party isn't a party without cake right?! 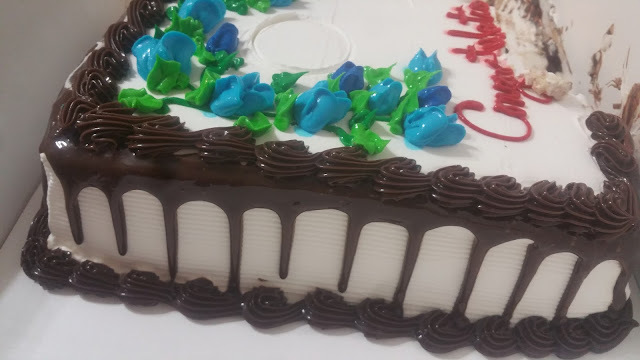 In our house we love cake and ice cream, so what better way to enjoy both than a delicious Baskin-Robbins Graduation Ice Cream Cake! To make the process of ordering a cake,Baskin-Robbins offers online ordering. Just pick your flavor of cake and ice cream, your size and the design and message and you are all set. This was just about the only process of the whole party that was so easy. Really, it is that simple! 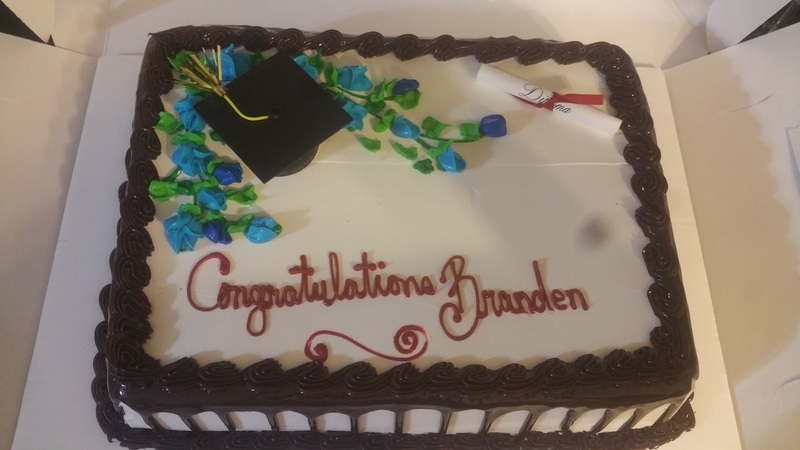 We chose red lettering since Branden's school colors were red, black and white. The Cap & Diploma cake features a cap and diploma adorned with rose buds and drizzled with a delicious chocolate and fudge border. Branden wanted vanilla cake with OREO® Cookies 'n Cream ice cream. 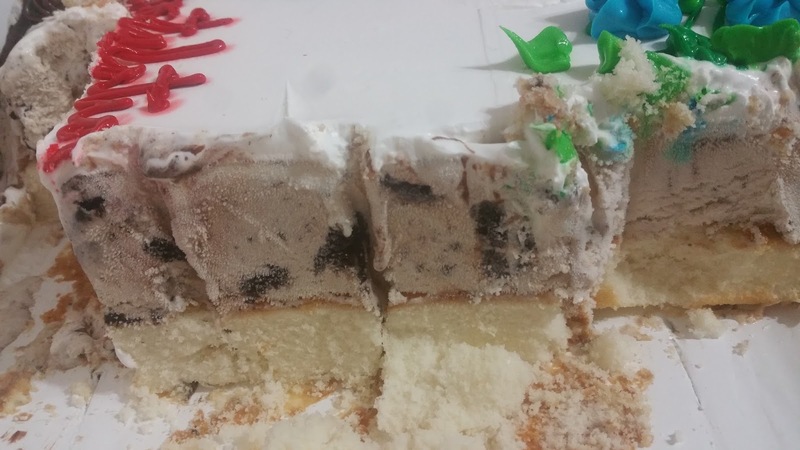 The OREO® Cookies 'n Cream is a customer favorite and was a hit here at our party. Our cake came out amazing and I couldn't have been happier with the whole process. With more than 7,400 Baskin-Robbins locations in 50 countries with 2,500 in the US alone you are sure to have a Baskin-Robbins nearby. 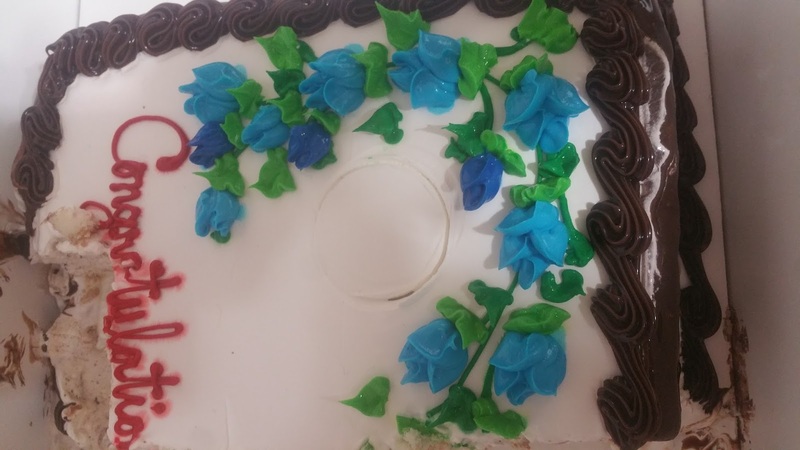 We had such an amazing experience using Baskin-Robbins for our Graduation Cake I have a feeling we will be using them for sure in the near future.